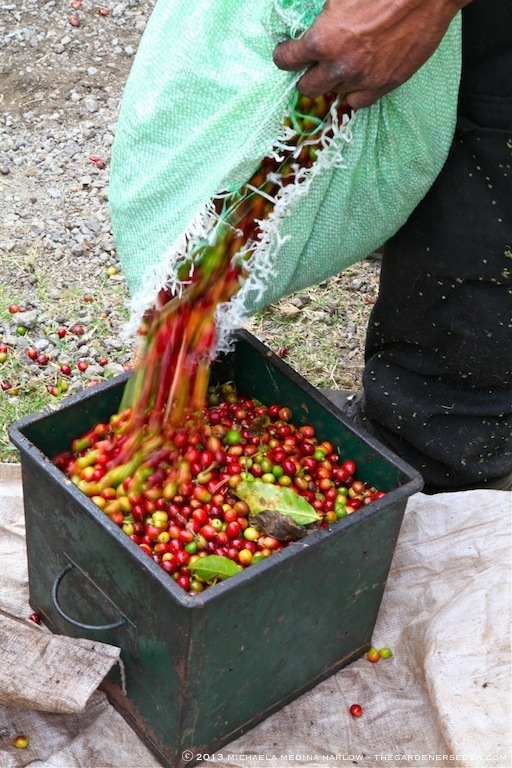 Ripe, red Caffea arabica berries signal the beginning of harvest season at Finca Rosa Blanca Coffee Plantation. 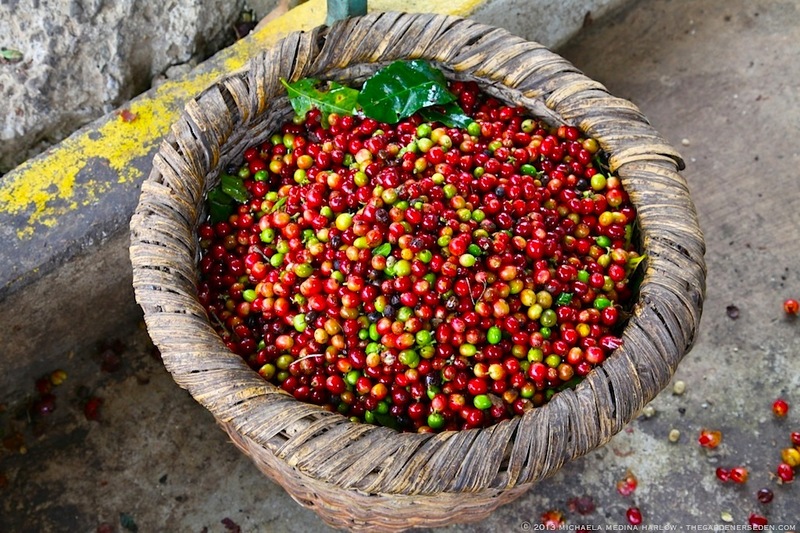 Coffee berries, or “cherries”, are picked during the dry season in Costa Rica. 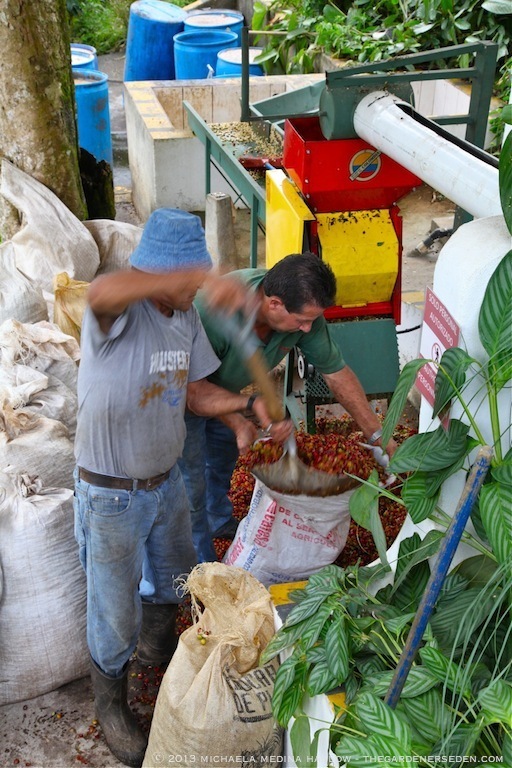 Coffee harvest spans early November through the end of February. Gardeners tend to be morning people, and like most morning people, I have a routine to begin my day. Topping my list of favorite, daily rituals is a piping hot cup of freshly ground, organically grown coffee, swirled with farm-fresh cream. Delicious! I can’t imagine starting my day without a cup of joe, but despite my passion for and longtime career in horticulture, I actually knew very little about how coffee is grown and harvested. I decided to change that last fall, during one of my recent visits to beautiful Costa Rica (see previous posts here). This past December, I spent a half day touring Finca Rosa Blanca’s organic coffee plantation with Coffea expert Leo Vergnani, a java-loving, Italian native with a world of coffee growing knowledge to share. Leo began the tour of Finca Rosa Blanca plantation at the coffee roasting house, giving us an overview of the world’s major species of coffee plants —70% Arabica (Coffea arabica), 30% Robusta (Coffea canephora)— growing conditions/locations and the various types of processes used to harvest, dry and roast coffee. 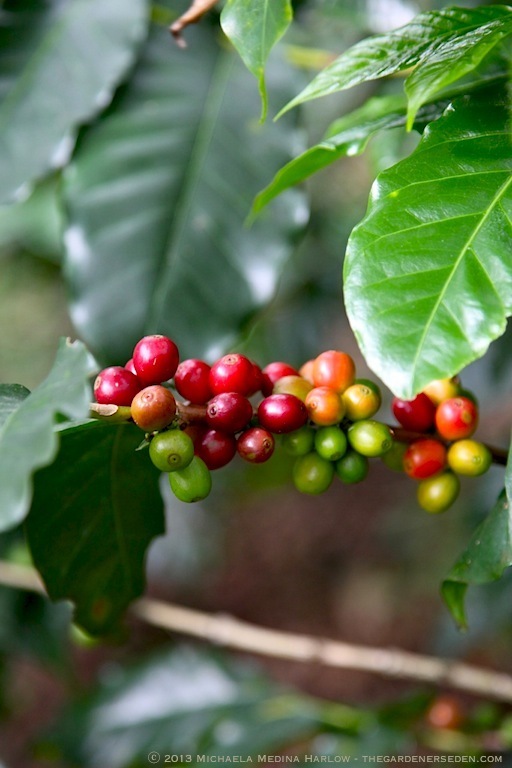 Though the species of coffee grown in Costa Rica, Arabica coffee (Coffea arabica), originated in Ethiopia, the plant is believed to have been first cultivated in its namesake region, Saudi Arabia. Although a variety of coffee plants grow at altitudes ranging from 300-6,000′ above sea level (ASL) —cheaper Robusta coffee (C. canephora), for example, is grown between sea level and 3,000′—- most of the world’s high quality, Arabica coffee is grown in the “coffee belt”, between the Tropics of Cancer and Capricorn. Mountainous, subtropical regions (16-24°, at altitudes of 1,800-4,200′), and similar, equatorial regions (latitudes lower than 10°, at altitudes of 3,600-6,300′), provide ideal conditions for coffee growing. 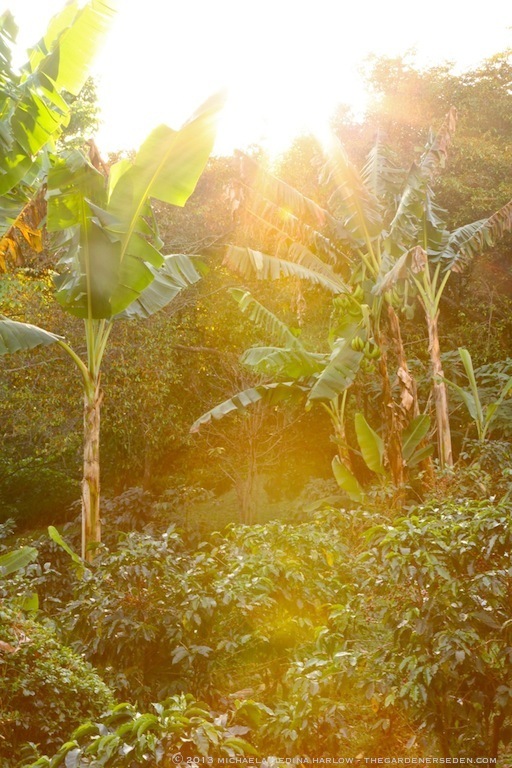 The perfect climate for a coffee plantation should have distinct rainy and dry seasons, and stable, year-round temperatures between 65° – 85° F (20° C). In addition, coffee plants require fast-draining, loose, porous, mineral-rich soil. This makes Costa Rica’s volcanic earth and subtropical climate the perfect geographical region for growing some of the finest coffee in the world. 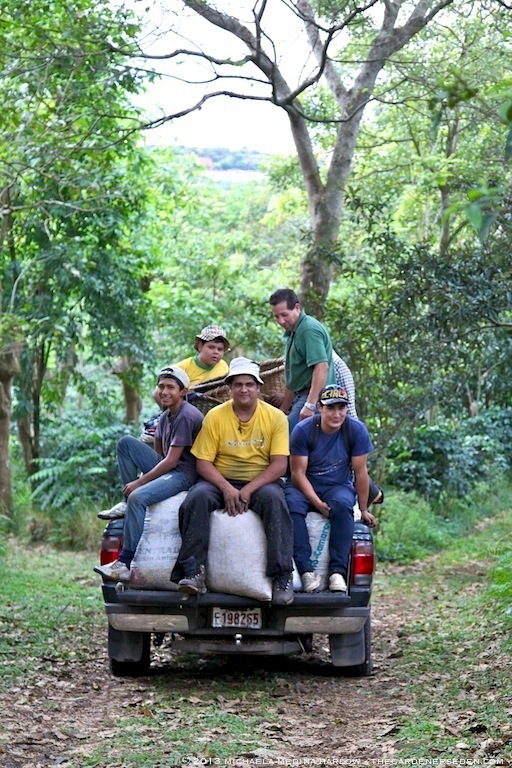 Finca Rosa Blanca Coffee Plantation follows the natural contours of the land. 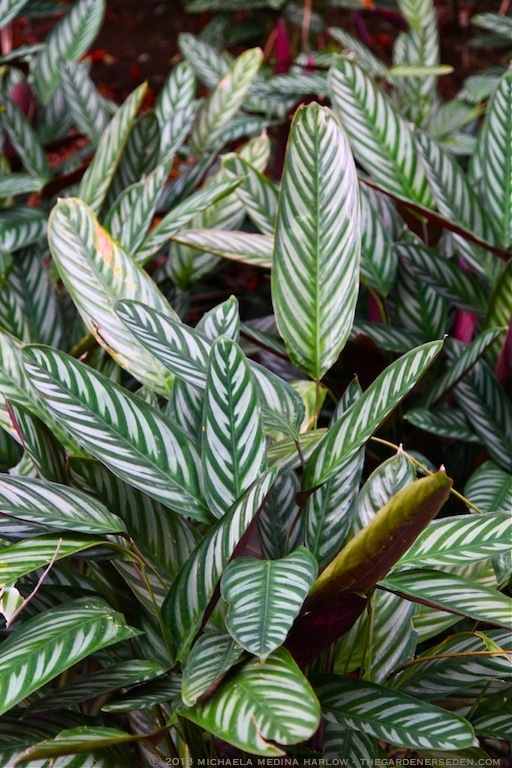 This growing method —and the use of companion plants; including Marantaceae, Iris and Poaceae— helps to control erosion and hold minerals and nutrients in the soil. 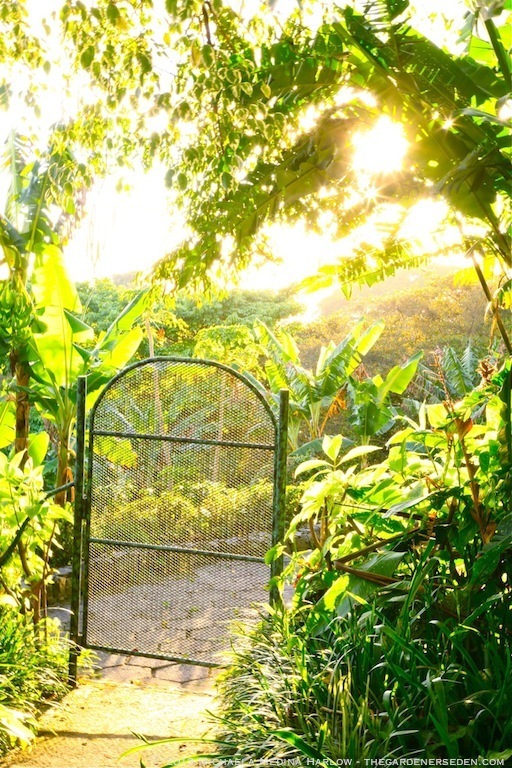 Sustainable, organic growing practices —including ancient permaculture methods— ensure that the local flora, fauna and environment remain protected. With the stunning Costa Rican landscape as a backdrop, a tour of Finca Rosa Blanca is an extraordinary experience for all five senses. The coffee plantation follows the winding contours of Costa Rica’s mountainous landscape, with trails leading through a misty canopy of trees. The songs of birds and tree frogs echo above us and the scent of sweet flowers fills the air. As we skip across stony brooks, I catch glimpses of breathtaking waterfalls and familiar, tropical plants —including Maranta and Calathea— as well as wild iris, ferns, lilies and orchids. The dense, fibrous root systems of the many plants and trees growing along the steep slopes help to control erosion here during the rainy season, and a consciously diverse ecosystem controls pests and diseases within in the plantation. The diverse population of flora and fauna makes Finca Rosa Blanca a beautiful coffee plantation to explore at every sensory level. 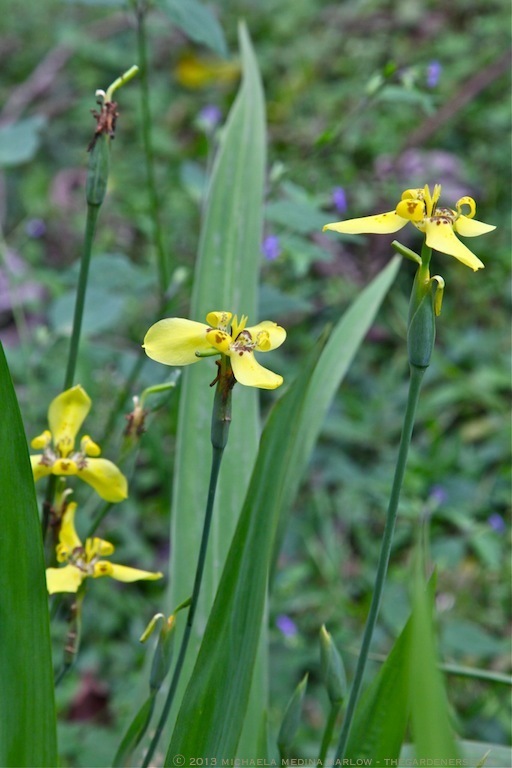 Iris and other companion plants help to control soil erosion during the rainy period. The misty tree canopy above the coffee plants protects the leaves from the scorching sun, and slows the ripening process, helping to produce sweet, bright red berries; ideal fruit for the perfect bean! 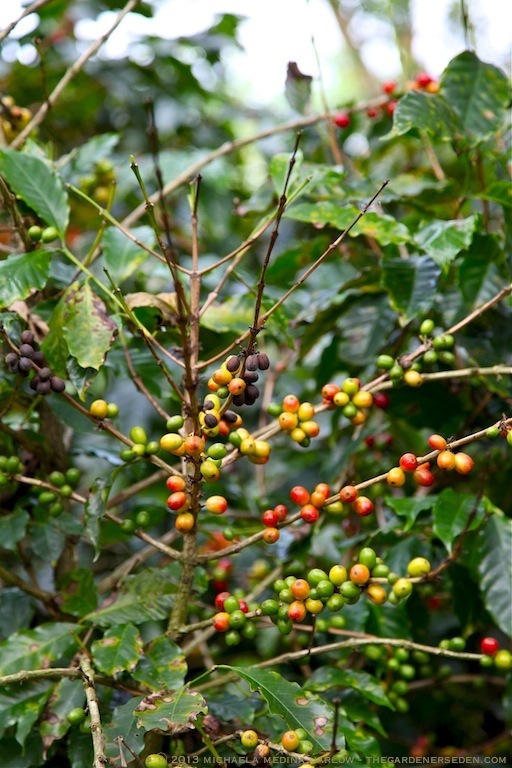 Caffea arabica plants take and average of 7-8 years to reach maturity. Plants begin flowering and producing berries 2-3 years after planting, and are pruned to prevent over-flowering and increase quality fruit production. 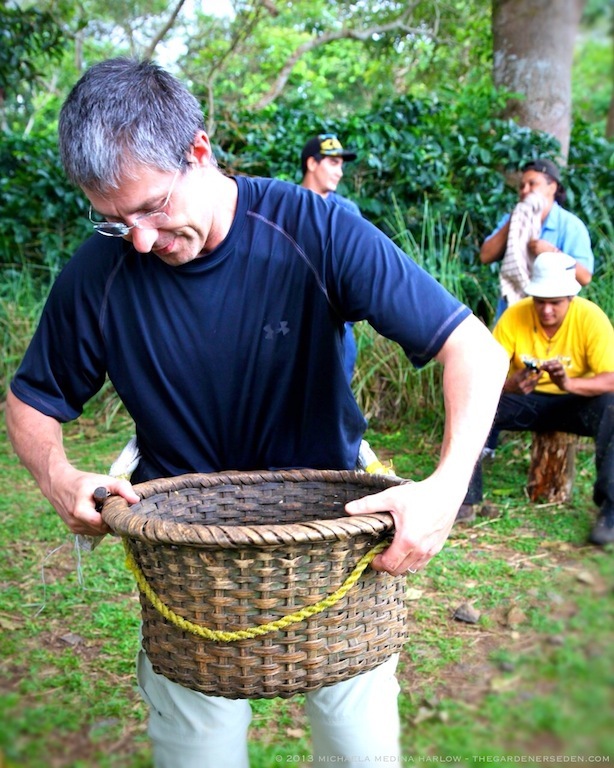 The coffee harvest cycle in Costa Rica follows a one year cycle. The fragrant, blossoming period begins in March and lasts 2 or 3 days, with a second wave of bloom following 3-4 weeks later. Because of the staggered flowering time, coffee berries do not form, nor do they mature at once. This makes hand picking necessary, so that only the ripe, red fruit is harvested during the winter season (November through February). Each coffee berry (ripe berries are called coffee “cherries”), holds two seeds (and sometimes a third, called a peaberry). It is these seeds, or “beans”, which are collected from the fruits during processing, dried and roasted to become the familiar, dark brown coffee beans with which the world is so enamored. 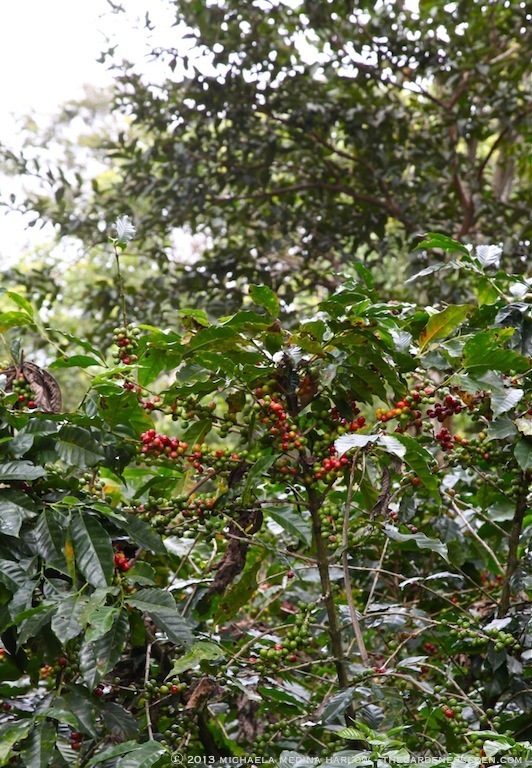 Coffee plants bloom and fruit over a period of time, making hand-picking (ideally, only the ripe, red fruit is selected), necessary. In order to prolong the berry ripening process —and produce the sweetest, most flavorful coffee— C. arabica requires cool, shady growing conditions. To provide this micro-climate, Finca Rosa Blanca grows coffee plants beneath the shade of a variety of native and regional trees; including the Coral Tree (Erythrina poeppigiana) —a nitrogen-fixing member of the legume family— which not only builds the soil through nitrogen-rich leaf litter, but also provides a delicate screen from the hot sun. Leaves, bark and seeds of the Coral Tree also repel many insect pests, providing natural protection to the soil surrounding the coffee plants. With the help of the Costa Rican environmental protection agency and volunteers, including local school children, Finca Rosa Blanca has planted more than 5,000 native trees to help provide natural nitrogen and shade for coffee growing, and to improve the local environment for birds, pollinating insects and other wildlife. Leo Vergnani points out a protected, native tree seedling planted by local school children. Together with their help, and the help of Costa Rica’s environmental protection agency, Finca Rosa Blanca has added more than 5,000 native trees to their coffee plantations. In addition to providing optimal growing conditions —which reduce stress on the coffee plants, helping to prevent disease and insect infestations from occurring— Finca Rosa Blanca also practices integrated pest management (IPM) and age-old methods of working with the earth’s natural resources and systems to keep diseases and pests in check and provide the necessary nutrients for coffee plants without using chemical insecticides, herbicides or fertilizers. Coffee is an extremely valuable commodity , with both high demand and price. Because of this, growers are under enormous market pressure and not all coffee plantations adhere to the same sustainable and organic growing practices as Finca Rosa Blanca. However, with increasing environmental awareness, small farms and plantations are becoming popular eco-tourism destinations. Experiencing the natural beauty of Costa Rica, and seeing first hand how ecologically sound agriculture works, helps to educate consumers about the importance of purchasing coffee grown at sustainable, ecologically sound plantations, like Finca Rosa Blanca. Leo explains the purpose of these white cups, seen hanging from coffee plants throughout the plantation. 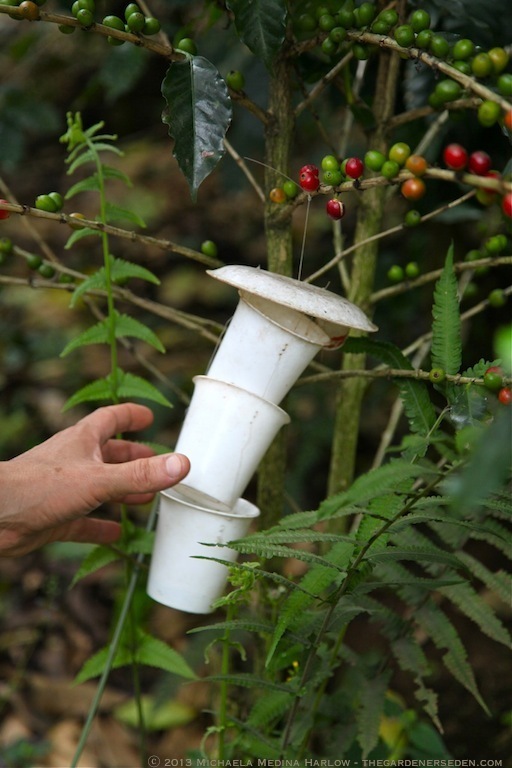 Pheromones are used to attract and trap coffee borer beetles, common pests in plantations. Finca Rosa Blanca is an organic plantation, and uses no chemical pesticides or herbicides. Because I visited Finca Rosa Blanca in early December, I was fortunate to observe the start of harvest season. 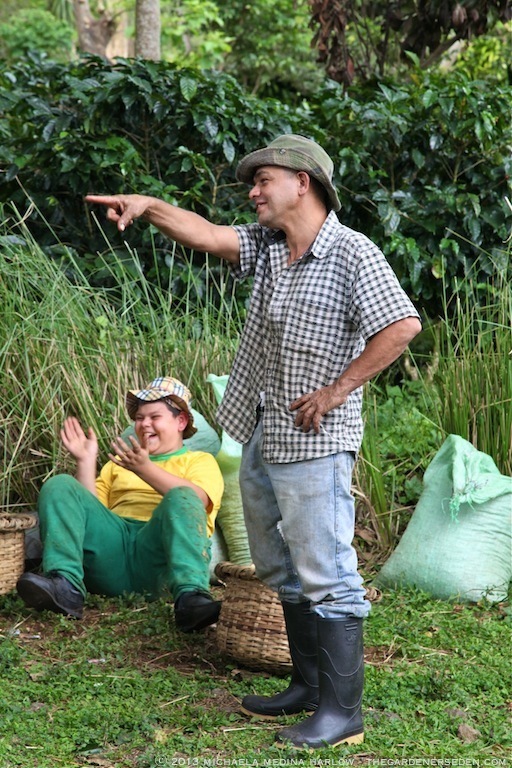 As we rounded the trail to the berry processing facility, laughter and light-hearted joking could be heard between the rows of coffee plants. Coffee pickers —many migrant workers from neighboring Nicaragua and Panama— were gathering bags of freshly-harvested berries, and tossing them onto the bed of a pickup truck. It was the end of a long, hard day and yet smiles abounded. Individual crew members are paid by the number of ripe units picked, which seems to make for happy and unhurried work. 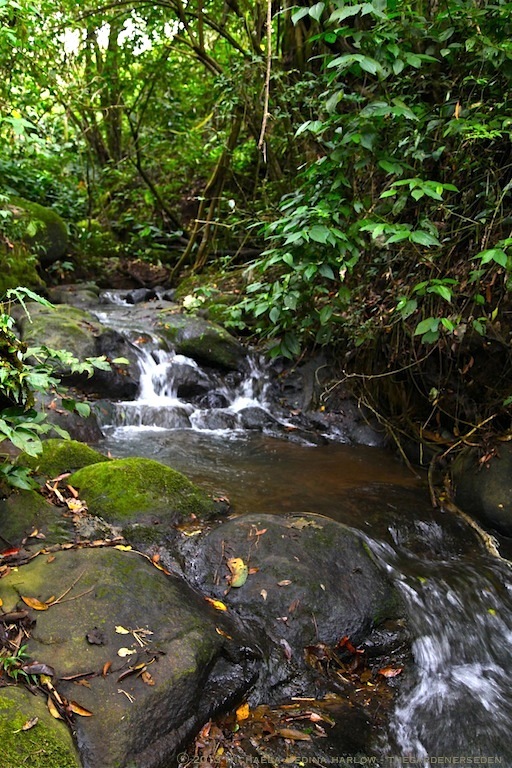 Surrounded by the calming beauty of nature, Finca Rosa Blanca Plantation is clearly a great place to spend your days . 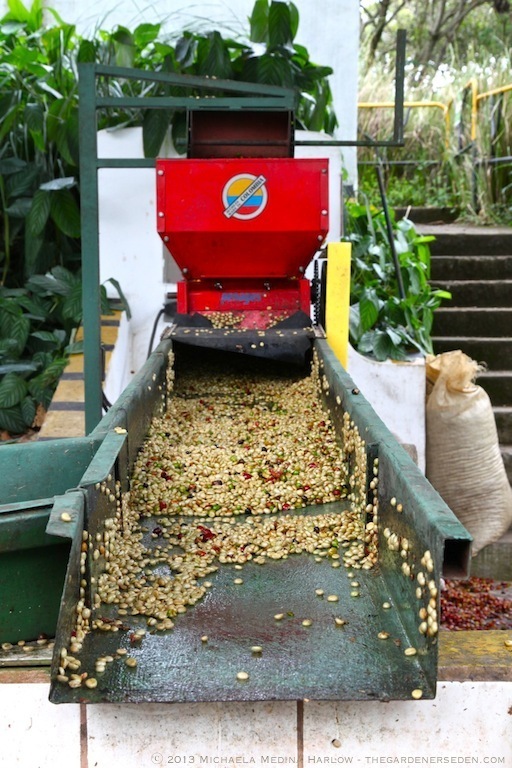 . .
After harvest, coffee berries are processed through a micro-milling station to extract the seeds, or “beans”, for drying. 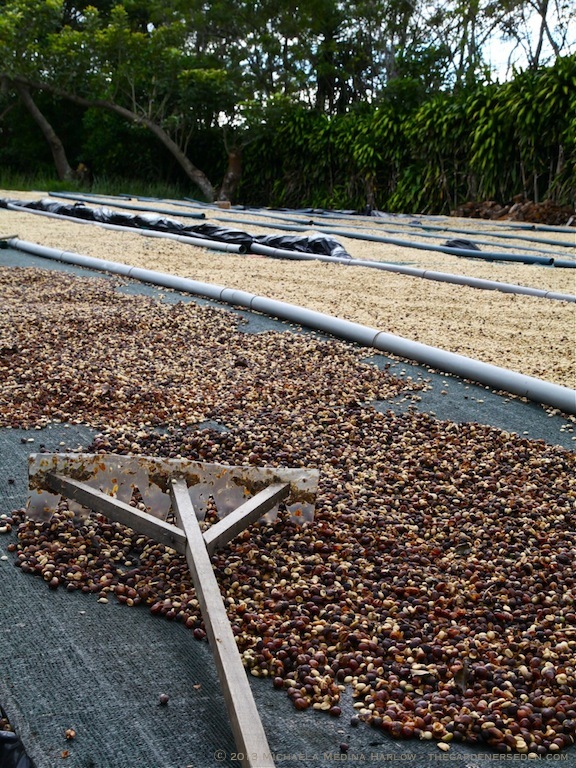 After the fruit has been scraped and washed away, the seeds are sorted and spread out for air-drying and held for a resting period of 1 1/2 – 3 months before they are ready for roasting. 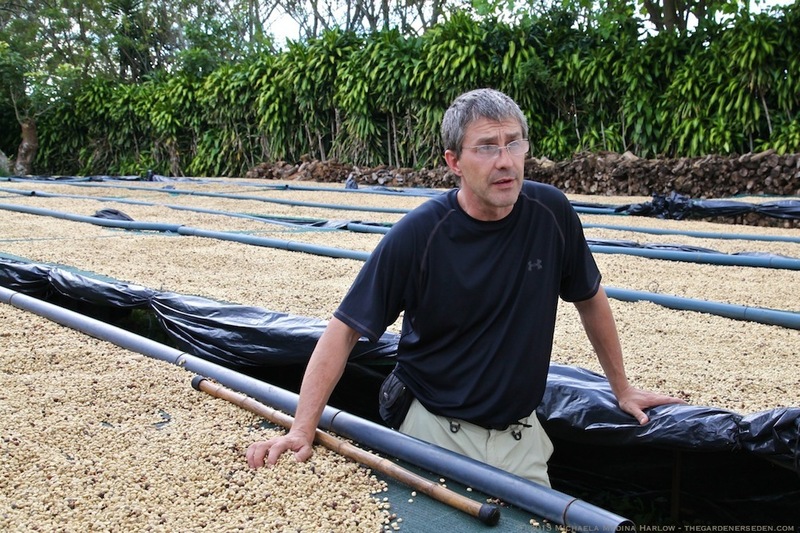 Coffee seeds are raked out and air dried on screens. Moisture content is regularly measured with hand-held hydrometers until the beans are considered dry. After a resting period of 1 1/2-3 months, air-dried coffee beans are sold and processed through micro-roasters or by Finca Rosa Blanca. The plantation’s coffee is offered for sale to guests, hotels/restaurants, and sold/shipped worldwide through Cafe Milagro’s website. At the end of our tour, Leo Virgnani invited us to take part in the traditional coffee tasting ritual known as “cupping”. This delightful experience has forever altered how I evaluate my morning cup of joe. 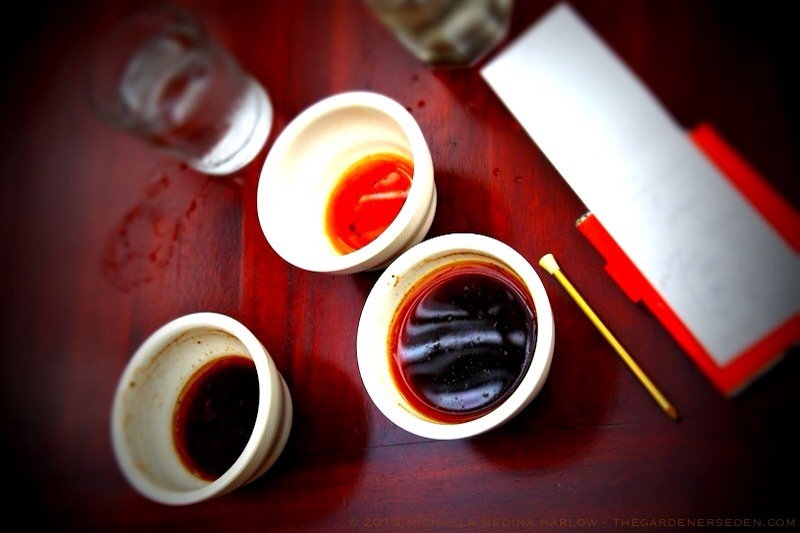 Have you ever participated in a traditional coffee tasting? 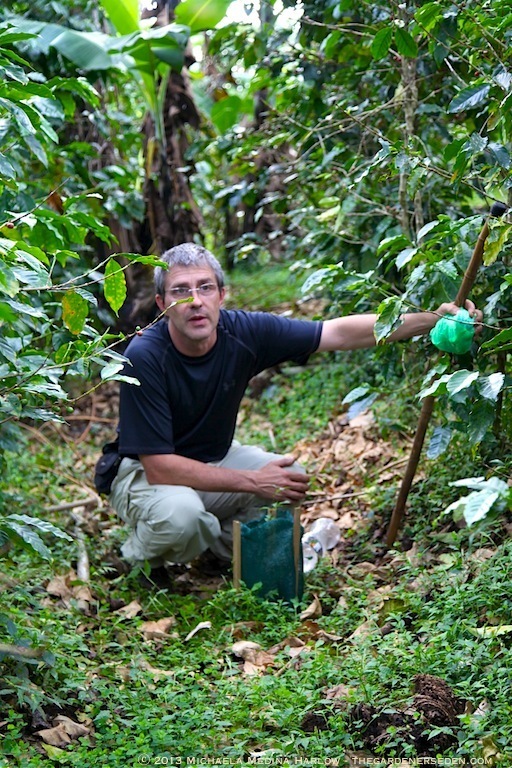 Many coffee plantations and micro roasters offer “cupping” as part of a facilities tour. If you have the chance, take it! You will experience flavors ranging from sweet molasses to dark chocolate, with earthy tones and bright notes and even hints of citrus and tobacco. Who knew coffee could be this complex! I would like to extend a special note of gratitude to Leo Vergnani for making our visit to Finca Rosa Blanca Coffee Plantation both an educational and beautifully memorable experience! Thank you, Leo! 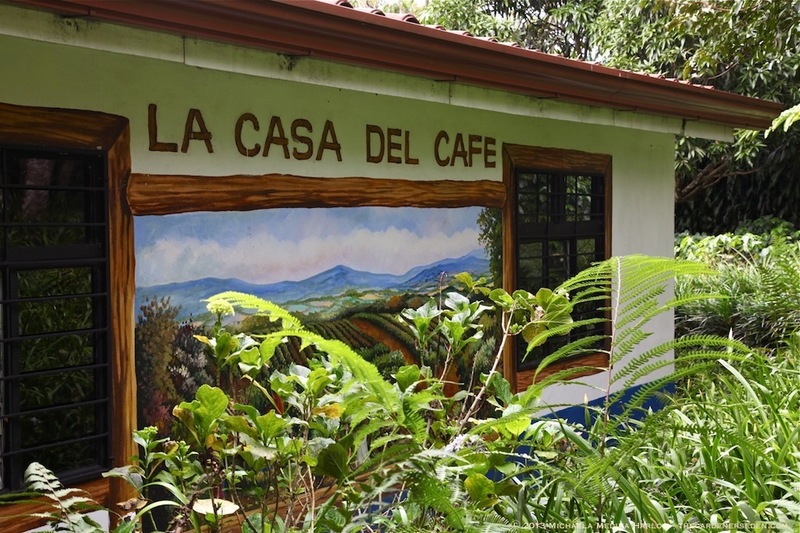 For more information about Finca Rosa Blanca Coffee Plantation and Inn, or to Purchase Coffee, Please Visit their Website. You are currently browsing the Coffee Cultivation category at The Gardener's Eden.